– Xanyar Kamangar feared he was out of luck. Due to fly from London to Tehran last month to host foreign investors, he had lost his Iranian passport. A new one would take seven weeks. 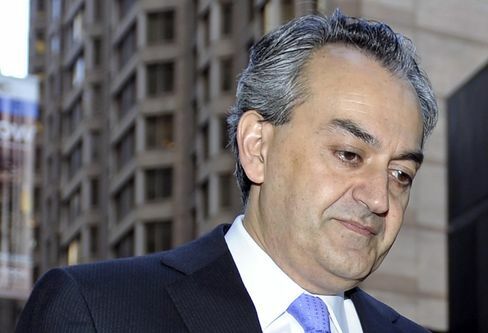 The consul general agreed to see the 39-year-old, who had left a career with Deutsche Bank AG to co-found a Tehran-based investment firm, believing his native country would soon open for business after years of sanctions and isolation. For years after the 1979 revolution, Iranians who left were dismissed as traitors and those who returned often treated as outsiders. Hundreds of thousands moved to southern California, dubbed their new city Tehrangeles, and didn’t look back. But following the 2013 election of President Hassan Rouhani, a moderate, and his government’s success in reaching a nuclear accord with world powers last month aimed at lifting international sanctions, a shift has begun. Rouhani has made a point of saying the government “extends its hands” to the diaspora, considers overseas Iranians “assets” and called for regulations to facilitate their return. 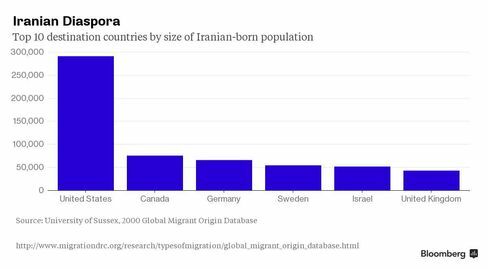 Iranians are responding -- going back not only to visit but also to invest and even settle. There is clear evidence of this in Iranian consulates, where revenue in this year’s budget “has doubled even compared to last year,” Deputy Foreign Minister Hassan Ghashghavi said in an interview in his Tehran office. The government estimates that as many as 7 million Iranians live abroad and that the sum of their direct assets or assets they manage is $2 trillion, Ghashghavi said. The government has issued orders to simplify the bureaucracy for returning Iranians, accepting proof of nationality rather than insisting on a valid passport, Ghashghavi said. The foreign ministry also has set up an e-mail service to allay fears of those who don’t know if they will be welcomed back, he said, adding that each case is reviewed with various government agencies and a clear assessment given. Iranians abroad nonetheless remain cautious about returning. Some worry that they can’t count on such assurances or that competing entities inside the country, like the Revolutionary Guards, might not listen to the ministry. Ali Zuashkiani says he is witnessing a “wave of return.” He co-founded the Tehran-based International Association of Iranian Managers, a networking initiative bringing together Iranian professionals inside the country and abroad. Sina Sohangir is an example. The 39-year-old sold his U.S. startup and left northern California a year ago. An electrical engineer with a Ph.D. from Stanford, he had worked for Netseer Inc., an online advertising analytics company, and for Twitter Inc.
“Iran is at a stage where it’s going to take a leap, it’s going to see much growth, a lot can be done and I thought it was a good time for me to return,” he said. Since coming back 11 months ago, Sohangir has started AdPardaz, which employs four and advertises on mobile games and apps. As a market, Iran seems to offer a great deal of promise. Some 55 percent of Iranians are connected to the Internet, smartphone usage has become common and about half the population is 20 to 35 years old. Sohangir said it was relatively easy to recruit staff but also pointed to frustrations that range from heavy traffic and deadly pollution in a city of 12 million to a work culture that can lack efficiency. Work culture and efficiency are precisely areas where the Iranian diaspora can make a difference, says Zuashkiani, 37, who lives in Tehran with his wife after 11 years in Canada. “If there were 50, 100 people like me entering at the same time in one sector we can bring dynamism and change the business atmosphere of the country, modernize the regulations, make reforms,” he said, adding that when multinationals return, that also will create opportunities. The challenge is enormous. Iran has had one of the highest rates of brain drain in the world: Some 5,600 go annually to the U.S. for studies, according to a 2011 report by the Institute for International Education. A 2012 survey by the Washington D.C.-based National Science Foundation said 89 percent of Iranian doctoral students remain in the U.S. after graduation. But that may change as more pathways open for Iranians to reconnect with their country. Rouzbeh Pirouz, executive chairman of Turquoise Partners, the leading Iranian asset-management firm, said about a fifth of those contacting him about investing in the country are Iranians. And that makes him optimistic.